Browse our many collections & find the perfect print for your home or office display, framed and matted. Submit a request to use our editorial content (articles, photographs, graphics, headlines, or page images) in your publication or other media. 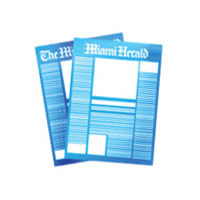 Order recent print back issues of the Miami Herald final edition, Neighbors editions & El Nuevo Herald. Three months and up to 10 copies available while supplies last. Search & download full text staff articles from 1982 to present. 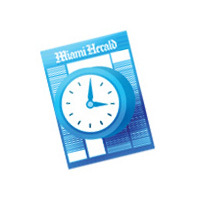 Order prints of pages published in the Miami Herald (post 1960), framed or unframed. You can even order the front page from the day you were born! It also makes a great gift!